Julia Kristeva was born in Bulgaria in 1942. At the age of 23, she moved to Paris and has lived there ever since. Her original interests were in language and linguistics, and she was influenced by her contemporaries Lucian Goldmann, and Roland Barthes. She also studied Freudian and Lacanian psychoanalysis, and like her mentors, she began to work both as an analyst and an academic. She joined the 'Tel Quel group' in 1965, where she met her future husband, Phillipe Sollers, and became an active member of the group, focusing on the politics of language. The Tel Quel group worked with the notion of history as a text for interpretation and its writing as an act of politicized production rather than an attempt to make an objective reproduction. Kristeva's articles began to appear in publications by Tel Quel and the journal Critique in 1967, and in 1970 she joined the editorial board. Her research in linguistics, including her interest in Lacan's seminars during the same year, manifested in the publication of Le Texte Du Roman (1970), Séméiotiké: Recherches pour une sémanalyse (1969), and subsequently, La Revolution du langage poetique (her doctoral thesis) in 1974. The latter publication led to her accepting of chair of linguistics at the University of Paris, and a series of guest appointments at Columbia University in New York. 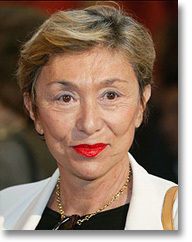 Kristeva's unique background, a "foreign" woman working in the predominantly male intellectual circles of France, drives the strategies of her work in semiotics and her interest in the politics of marginality. In accordance with her thinking, she produces both fictional and academic texts. Her interest is in discourses that resist rigid and one-dimensional logic and instead engage in an ongoing process of writing the struggle with the impasse of language. She prefers to analyze, to think language against itself, by its fracturing and multiplication of texts, while taking the figure of negativity into account. In addition, Kristeva's experiences in Communist Bulgaria provide her an intimate understanding of Marxism and the work of the Russian Formalists such as Mikhail Bakhtin (whose work she is accredited with introducing to the West). Developing Hegel's concept of negativity in conjunction with these ideas and those of her teachers and peers, she produced an influential critique and following shift from Structuralist to Poststructuralist thought. Her particular focus is a process-oriented reading of the sign. Such a process for Kristeva is concerned with bringing the speaking body back into phenomenology and linguistics. In opposition to theories in structuralist linguistics that she feels are "nothing more than the thoughts of archivists, archaeologists, and necrophiliacs" she develops a new science, "semanalysis," that connects the body, complete with its drives, back into language from where she believes the logic of signification is already present. In this process she elaborates on the Lacanian idea of the mirror stage and the formation of a separation, a lack, from the (m)other that forms signification as a movement from need (demand) into desire. It is an ongoing process of completion through the symbolic castration of the subject. Here, Kristeva is critical of Lacan's overlooking of processes that take place before the mirror stage. Kristeva's elaboration on the model of Lacan involves a distinction between the "semiotic" and "semiotics" as a field of study in linguistics, and a further distinction between two heterogeneous types of signification in language, the semiotic and the symbolic. The semiotic exists within the signifying process, it is a discharge of the drives within language that manifests in the rhythm and tone of the text (and the speech of the subject). It refers to an element in symbolic language that does not signify, the bits of psychic and bodily energies (partial drives) that are less precise but nonetheless "speak" of the phenomena of embodied significations through language and their inherent limits. The symbolic is the rule-governed element of language, grammar and syntax, that makes reference and therefore judgment at all possible, the element of meaning associated with the very forces of grammar and syntax. Kristeva became more interested in psychoanalysis and completed her training in 1979. Her work intensified around the formation of identity and the role abjection and Otherness play in the process. Her writings of the 1980's include transcripts from her practice as an analyst, such as Tales of Love (1983) and Black Sun (1987). Her 1982 publication, Powers of Horror: An Essay in Abjection, describes the pre-mirror stage development of the child's entry into the Law of the father as Lacan theorized. For Kristeva, birth itself is a separation within the body, a violent separation from the body of the mother. In the maternal body, excess gives rise to a separation that is material and maintained by a regulation (regarding availability of the breast) that is prior to the mirror stage. The maternal regulation operates as a law, prefiguring and providing the grounds of paternal Law as the entry of the child into language and society. Kristeva's writings maintain this logic of an oscillation between symbolic identity and semiotic rejection or the experience of difference. Revolution in Poetic Language and Powers of Horror are focused on material maternal rejection, which prefigures signification and sets up the logic of rejection. Tales of Love (trans.1987) and Black Sun: Depression and Melancholy (trans.1989) are focused on primary narcissism, which prefigures all subsequent identity and sets up the logic of repetition. Strangers to Ourselves (1989) and Lettre ouverte ý Harlem Désir (1990) are focused on rejection or difference within identity. In recognition of her contribution to French intellectual culture, she was honored by the French government in 1990 and made a "chevalier de l'ordre des arts et des lettres."